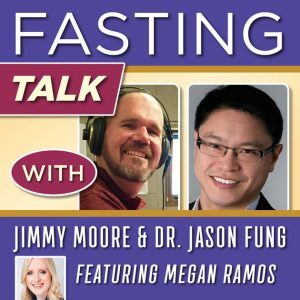 I’ve been getting pinged by a lot of follows this week who noticed I was being talked about at toward the end of the most recent episode of Fasting Talk with Jimmy Moore & Dr. Jason Fung, episode 22. 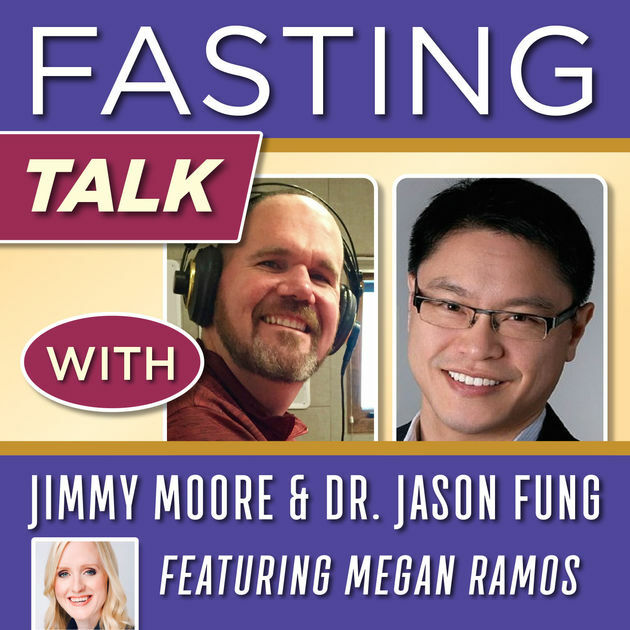 They were discussing my blog post The Fasting Disaster from last April (starts around 49:20) . Apparently, some people were concerned I was claiming fasting was generally deleterious to health in general and with regard to cholesterol specifically. The question is, do these short term manipulations of your cholesterol make any difference to heart attacks and strokes, and the answer is, nobody knows. There is zero data out there that says, oh if it goes up really high due to — whatever — what you ate or if you fasted or whatever. Is that bad? I don’t know. Is that good? I don’t know. I have no idea, so why do we care about short term movements of cholesterol? To be sure, if you’re a long time reader of this blog, you know I’m extremely obsessed about the movements of cholesterol! Which is why I know his larger point is well taken. This short term shift was of little relevance to me in terms of overall health because I knew what was going on and fully expected the result. Quite simply, cholesterol from a blood test is likely higher in the short term due to getting more energy from fat in the body (adipose). In order to traffic that fat to your cells, your liver places them as cargo in boats known as lipoproteins. Those storage-based lipoproteins (VLDL – Very Low Density Lipoproteins) also carry cholesterol, but while most of the fat-based energy (Triglycerides) gets used from these boats, most of the cholesterol doesn’t. The vast majority of cholesterol ends up back at the liver for other possible fates like bile salts and hormones. Well, where is that cholesterol coming from? You didn’t put in your body by eating . You didn’t put it [in by] intravenous, you didn’t inject it into yourself. So that cholesterol had to be manufactured by your liver. It was in there anyway. Which is why I don’t care that my cholesterol is going up or down in the short term because I know it’s a passenger, not a driver. But more importantly, I’d want everyone to know this as well given I’ve had many who have written to me after having done a fast for 2 or 3 days and, like me, saw their cholesterol skyrocket. I discuss one of them in my Breckenridge presentation (the story of Jill, near the very end). In other words, my research doesn’t showcase why this jump in cholesterol from a 2-3 day fast is likely bad – it is demonstrating why it likely is not bad! Another interesting area Fung touched on was the likelihood I was dehydrated due to my hemoglobin going from 15.3 to 18.1. I’m fascinated by this possibility as it was probably the area I was trying to most guard against. The fasting friends who were giving me advice were very insistent I drink lots of water and to be sure I got plenty of electrolytes. One had handled the latter for the last several years by adding Himalayan pink salt and Morton’s lite salt to his water during fasting periods, which I did as well. (Lite Salt has 350mg potassium per 1/4 tsp). Each bottle of water was 500ml. Whenever salt is pictured with it, presume 1/2 tsp added. This makes it pretty easy to calculate. Again, I freely concede my naivete on fasting, and outside of watching Fung’s 2016 lecture in person along with my friends’ advice on the subject, I wasn’t coming into the experiment with a ton of studying. Thus, I was exceeding a gallon of water for each day, which is why I was worried I might be overdoing it. But this being my first multi-day fast, I didn’t know for sure. While I might have had a negative experience of my own, I would definitely want to emphasize it doesn’t change my opinion of fasting in general. I know many people who both fast and insist it’s one of the best changes they’ve made in their lives. In both high school and college, I competed in forensic debate. (Am I nerdy enough now?) So I rarely if ever take anything personally. A few of you got rattled by this podcast and I can assure you there’s nothing to be rattled about. If anything, I’m ecstatic to get further expert feedback on my experiment and welcome more. I consider Dr. Jason Fung is an asset to the low carb community and I look forward to every time I can watch his live presentations. I like your attitude. A great scientist. I like you and Dr Fung! My cholesterol was really high and I refused to repeat it.I do not care if it is high after reading your blog and experiments. It makes sense! I keep fasting 20/4, 19/5/, 18/6 etc. sometime not. I just saw your interview on DietDoctor. You seem to be explaining what I saw with my own recent cholesterol test. My numbers were much higher than I expected. More importantly, I took my test in conjunction with an A1C test — so I was fasting for 18+ hours. This brought my A1C down but raised my cholesterol. Result? My doctor was happy with the A1C value which was well within normal but cautioned me on my cholesterol! Immediately i thought my cholesterol was likely higher because I was in ketosis and my liver was dumping out fat stores to compensate. I do intermetting fasting. My triglycerids rise up.from 83 to 254. My total colesterol numbers went down. I’d need a bit more information. What were your complete labs (Total, LDL, HDL, and Triglycerides) and when were they taken? Also, how long have you been on a low carb diet? Thank you so much for this wonderful research and big discovery. You my have said that already somewhere so I am sorry if I overlooked it, but do you do your Cholesterol blood test fasting or after meal? Great attitude to take in general, Dave. People often react or say things on the internet in ways they never would in person. It strikes me that if you fast and your LDL-C goes up, then this is a good sign – you should actually hope for this, and you should hope that it goes up A LOT. If VLDL increases in response to a fast (as per your observations, and potentially due to the increasing need to transport TG from stores), then LDL-C should increase if you don’t need the cholesterol to fix stuff. Based on your analogy…more boats = more life rafts. I’ve heard a number of people say something along the lines of “hurray, I fasted and my cholesterol went down, fasting is great”…and I have thought to myself that they might not be figuring that correctly. If you fast and you see less life rafts than you did before the fast – then this indicates that cholesterol is being used…to fix stuff that was broken as a result of fasting. No? Thank you very much for the work you are doing. I’ve started Keto 5 weeks ago and had my first blood work done last week (approximately 4 weeks after I started keto). Before going Keto, I was doing low carb for a few months and before that the traditional high carb/ high protein diet. I was expecting a potential raise on the HDL/LDL but not on the Triglycerides. I wanted to ask you if higher numbers of Triglycerides can indicate a problem and if you could point me to the right direction. I really appreciate your studies, very well done! I wish we had data for the transition to becominh adapted. I suspect that as my ketone levels dropped as my cholesterol level went up. I wonder if all hyper responders have lower than mean levels ketones of other adapted lchf people. Dr Volek had mentioned his athletes produce low levels of ketones, which make me wonder about thier cholesterol levels. Btw I’m a hyper responder and produce low levels of keytones even when fasting for 5 days with significant aerobic exercise >1hr each day. Exercise tanks ketones to less than .3 using ketomoto. Athletic LMHRs often have lower BHB levels than their sedentary counterparts. But I’ve always suspected this is likely due to higher *usage*. Again, a blood test only measures what is in transit, not yet in use. The dehydration question caught my eye. I had read that your body can be dehydrated regardless of water intake if your electrolytes are out of balance. I think it was mentioned with treating various types of acidosis. I’m not saying this was the case however. This is the #1 thing that needs to be talked about with fasting. Dr. Fung’s partner in his program said they tailor the amount of water/electrolytes to each patient? How do they do this? It’s not mentioned in his books. Following his method loosely (only 1/8tsp pure potassium chloride and 1/8 to 1/4 teaspoon of salt per 1 liter bottle) I’ve only been able to drink 1-2 liter while fasting (in the dry New Mexico environment). 2L almost seemed too much. This is perfectly in line with some things I’ve read about people doing desert crossings for sport. They say 1-4 liters of water per day is typical. I’d say 4 liters is def. the high end. I did back to back 48 hour fasts on this water with a 500 calorie refeed in between. I went from 209 lbs down to 198.6 lbs in that 4 day span. Using only 9 days fasting (total) out of 7 weeks I’m down to 187 lbs (21.8 lbs lost total). It’s calcium, magnesium, and potassium in bicarbonate form. Cole of Snake Diet recommends a large amount of potassium for fasting. We need to figure this electrolyte idea out. I’d like to really have some hard numbers on how these DIY water mixes work in the body. “Glucose oxidation apparently is necessary for preventing the intracellular accumulation of free calcium and fatty acids (Jeremy, et al., 1992; Burton, et al., 1986; Ivanics, et al., 2001). The calcium binding protein which is activated by thyroid and inhibited by estrogen seems to be activated by glucose and inhibited by fatty acids (Zarain-Herzberg and Rupp, 1999). Or eat one Date at dusk after fasting all day as Muslims are told to do? Cody Lundin (in his survival book 98.6) said that researchers had determined that 2 spoons of apple juice in water worked just as well as any electrolyte drink with runners/endurance athletes. This is all pointing somewhere in regards to fasting. I think I may have come up with something to use besides plain/salt water or “Snake Juice” for fasting. It’s a more protective combo of ingredients. Did a very long brainstorming session over in a YT comment section. This is very seat of the pants. I’ve done multi day fasting with various combinations of water/salt/potassium chloride/baking soda/bone broth/gross gatorade/etc. All combos have their + and – to them. With some combos the taste and mouthfeel is unpalatable. “The thing missing from Snake Juice in all forms is the tiny amount of calcium system/heart protective sugar. Orange juice with pulp is the best choice of juice even for diabetics. Vit. C is very close to glucose from what I’m reading. Oranges also contain potassium. The pH of this mix is 7 as far as I could tell using a General Hydroponics pH checking liquid test kit. Very body compatible! Sparkling water with juice is pH 4.0 roughly. As bad for you as Coke pretty much. Effect of growth hormone on adipose tissue and skeletal muscle lipoprotein lipase activity in humans.